After that long trip through the Imagitoons Zoo you could probably use a little energy boost! 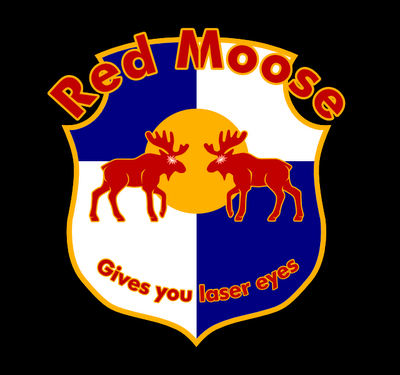 Why not try Red Moose, the energy drink that gives you so much energy it literally gives you laser eyes! That's both an advertisement and a warning...drink at your own risk! I laughed for, like, five minutes after seeing this picture. Well I'm glad! It was inspired by a logo of a red moose with wings on a truck on my way through Chicago with my gf! What implies energy...wings, or LASERS!?!?!?! ?